Tesla recently announced its Roadster Sport edition. To be succinct, the Sport powers from 0-60 mph in 3.7 seconds (.2 seconds faster than the base model), has a sweet HEMI muscle car like orange and black paint job, Yokohama performance tires, custom suspension, and blacked out rims. The stator is an electromagnet (see left), meaning when an electric current passes through it, the rotor is magnetically attracted to spin in a certain direction. So if you hand spin the wires into the stator, you can pack more wires in, allowing more electrical current to pulse through each segment. The more powerful current sequentially magnetizes each segment and spins the attracted rotor faster. Also, I’m not an electrical engineer so you can correct me in the comments section. 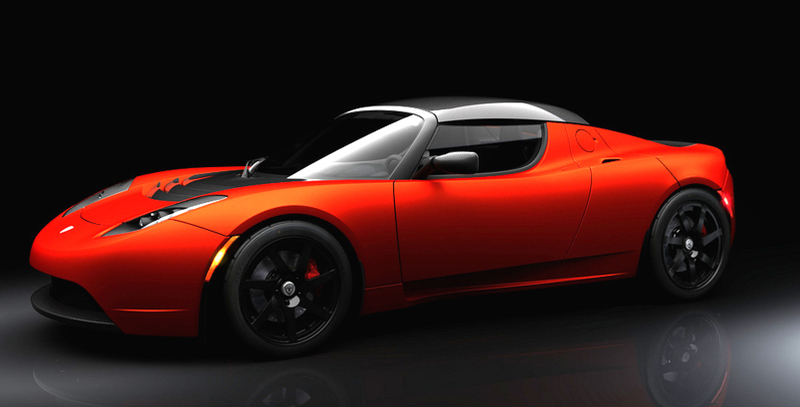 The Tesla Roadster is powered by a 3-phase, 4-pole electric motor, producing a maximum net power of 248 hp (185kW). The Sport Model, with its higher density, hand wound stator produces a maximum of 288 hp (215 kW). Both motors are designed for rotational speeds of up to 14,000rpm, and the regular motor delivers an efficiency of typically 90%, or 80% at peak power. Couple this with Tesla’s new Powertrain 1.5, and you have one of the meanest electric machines ever produced. SAN CARLOS, Calif.—(BUSINESS WIRE)—Tesla Motors Inc. began taking orders today for the Roadster Sport, a high-performance sports car based on the world’s leading all-electric, zero-emission vehicle. The Roadster Sport does 0 to 60 mph in 3.7 seconds, compared with 3.9 seconds for the standard Roadster. It comes with a hand-wound stator and increased winding density for lower resistance and higher peak torque. In addition to Yokohama’s Ultra High Performance tires, the Roadster Sport has improved suspension with adjustable dampers and anti-roll bars that will be tuned to the driver’s preference. The Roadster Sport starts at $128,500 in the United States and €112,000 (excluding VAT) in Europe. Deliveries begin in late June. The Roadster Sport is the first derivative of Tesla’s proprietary, patented powertrain. San Carlos, Calif.-based Tesla plans to begin producing the all-electric, zero-emssion Model S five-passenger sedan in 2011. Tesla has delivered more than 150 Roadsters to customers, and about 1,100 people are on the waiting list. Customers who haven’t taken delivery may upgrade to the Roadster Sport. “The Roadster Sport embodies Tesla’s spirit of continuous improvement,” said CEO, Chairman and Product Architect Elon Musk. “The Roadster has been a great success, but no one at this company remains satisfied with the status quo. r4ntbs6, 4601 [url=http://usepheromones.webs.com/]pheromones in cologne[/url] pheromonoes [url=http://buypheromones.webs.com/]pheromones in humans[/url] pheromones.co.za xd8pulqzog, 3994 pheromones for women [url=http://pheromone101.webs.com/]pheromonoes[/url] pheromones youtube.